French fishermen managed to do the unthinkable. It is a great miracle and great effort that they were able to catch giant catfish from the Dordogne. Last Sunday during fishing on the river Dordogne, a lucky one Nicolas Loken caught a huge catfish. After the huge fish was safely taken out of its native element, its dimensions were carefully measured. 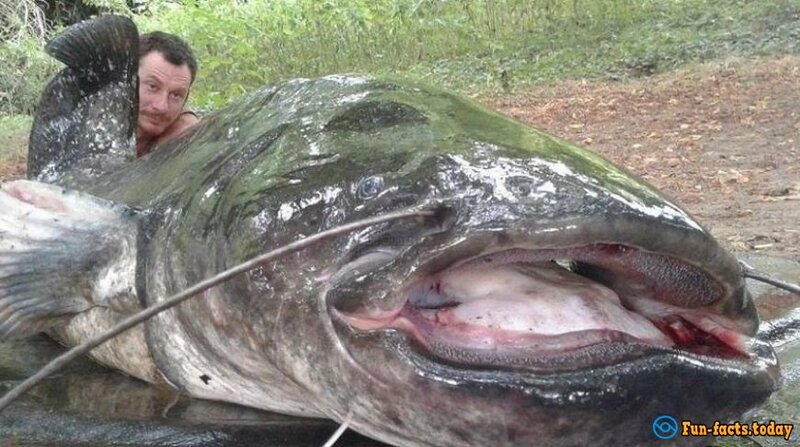 The length of the giant catfish was 2.04 meters; weight is 65 kg. Despite the remarkable size and weight of the caught catfish, it has failed to become an absolute champion among the French fishermen's catches. A large specimen with a body length of 2.56 m was caught on the hook earlier.